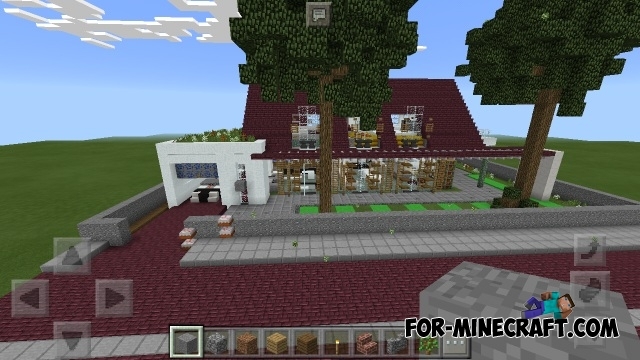 If you are you looking for a beautiful small house for Minecraft PE then you'll like this building. The house consists of two floors and also a small garage, a stream and a lawn. The creator built small mechanisms inside the house for convenience. Use the buttons to activate them. If you are not satisfied with the appearance of the building you can change it. 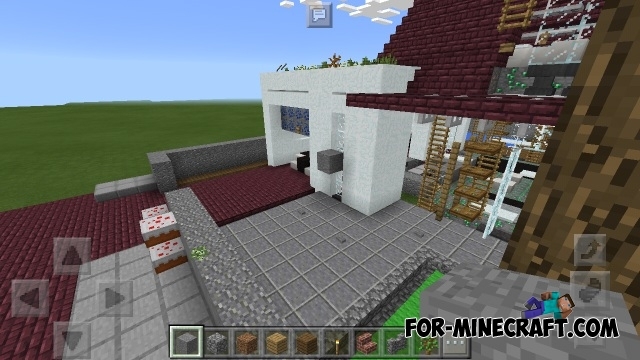 Download Flows HD texture pack and the house will look really modern.